Calculate the increase or decrease in the strength of the magnetic field of a coil simply through changing the wire diameter with the free Ampere-Turn Calculator. Many more factors are also calculated for your convenience. 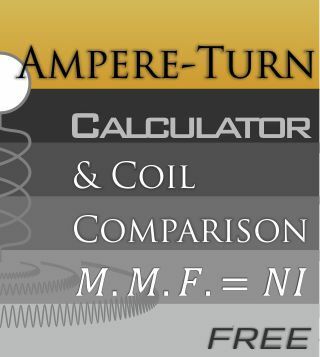 Calculate and compare the increase or decrease in the strength of the magnetic field of a coil design simply through changing the wire diameter with the free Ampere-Turn Calculator. Many more factors are also calculated for your convenience.